Arbrux floating fountains were created to make an aesthetic impact and give your lake or pond the wow factor your looking for. Our floating fountains are made with superior quality components and designed with our customers in mind. The fountains create a spectacular display while aerating the water naturally. 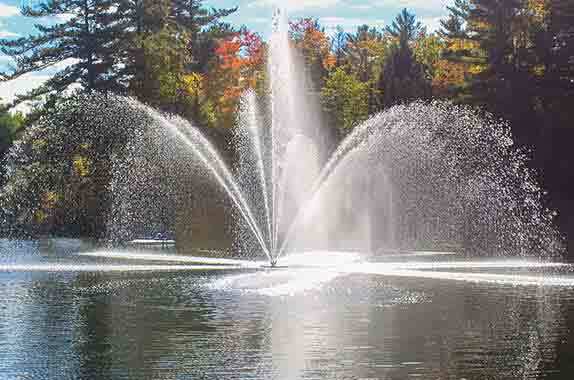 The Arbrux line of floating fountains includes ½, 1, 2, 3, 5, 7.5 & 10 horsepower models. They are simple to install, easy to maintain and reliable which gives you the luxury to sit back and enjoy your beautiful water feature.